According to experts and analysts of the day, India is facing an unprecedented shortage of affordable homes. Depending on whom you ask, the need ranges from ten to several dozen million units. If you add families that currently live in inadequate homes, then the number increases exponentially. While the government is struggling to find innovative ways to address the shortage, thousands of small homes are being built daily without much external support and outside any official scheme. Wherever access to land is possible, people build homes, and improve them over time. This energy must be recognized and harnessed if India is to provide decent housing to its growing urban population. According to well-circulated statistics, 60% of Mumbaikars live in 'slums', which occupy six percent of the city's land. What is less known is that many of these so-called slums have little to do with the kind of apocalyptic imagery sold to the world in blockbuster movies, best-selling books and tabloids. A majority of homes in areas notified as 'slums' by the government are built in bricks, steel and cement, by experienced teams of contractors, masons, plumbers, electricians and carpenters. What these individual initiatives lack is a framework proving better planning at a neighbourhood level. 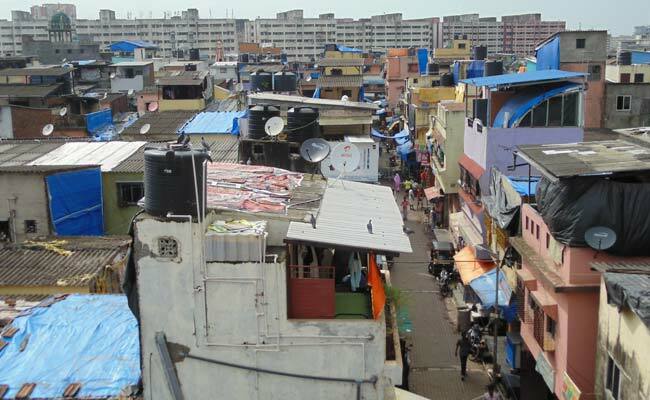 Many of Mumbai's poorest neighbourhoods could become functional and even desirable with a little support from the authorities. If most 'slums' don't enjoy adequate infrastructure, it is not because it is technically difficult or even expensive, but rather because there is a deliberate will to keep certain neighbourhoods in a state of precariousness and political dependency. The biggest impediment to the improvement of many settlements is the misconception that they are illegitimate, because residents don't own the land they occupy. However, some neighbourhoods such as Shivaji Nagar in Govandi, where our office is located, were never illegal encroachments to start with. 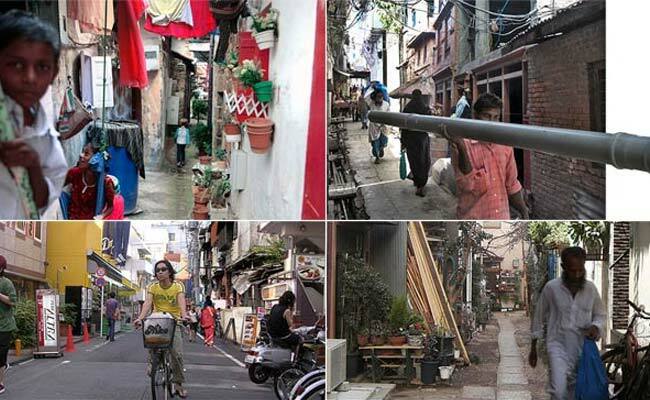 Shivaji Nagar is a government-planned resettlement colony where poor Muslim and Dalit communities were relocated in the 1980s from slums in the city at large. 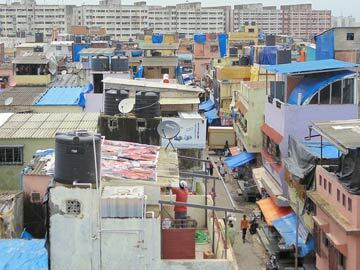 After decades of neglect, the authorities now treat it and even call it a slum - all over again. In Shivaji Nagar, original occupants were given a lease, which the bureaucracy has made nearly impossible (or too costly) to transfer. Water infrastructure was initially provided but never upgraded to respond to the needs of a fast-growing population. Deep-rooted biases against certain populations and the neighbourhoods where they live, rather than their legal status, explains the way they are being treated by the authorities. Rather than 'slums', which in Mumbai is a political label, we call Shivaji Nagar, Dharavi, and other such settlements 'homegrown neighbourhoods'. These neighbourhoods include many of Mumbai's urban villages (gaothans) whether they are gentrified are not. They were developed gradually, by the people who live there, with the help of local artisans of construction, usually with little or no support of the authorities. They belong to another history of urbanization, one that is as universal and ubiquitous as the skyscraper, only much older. Homegrown neighbourhoods are more common than usually assumed. At a global level, they are the norm rather than the exception. Entire cities have been developed outside official plans. Tokyo or even Shenzhen (one of China's newest and most flamboyant cities where at least 50% of the population live in hyper-dense urban villages) are cases in point. Most Middle-Eastern and European old towns, with their charming, irrationally narrow streets and small buildings are home-grown. Even the well-planned streets of New York and Los Angeles' suburbs are full of houses that have been modified by their users in contradiction to zoning codes (think of Steve Job's garage start-up - an illegal business activity in a residential neighbourhood). Looking at Mumbai's homegrown neighbourhoods less as urban anomalies and more as a combination of residents' initiative and government contempt, helps think housing policy afresh. This is important because these neighbourhoods are the biggest producers of affordable homes, at an order of magnitude beyond what developers and the government can provide. This realization pushes us, as urban practitioners, to rethink the roles of architects and planners in a context where the government is at best indifferent and at worst hostile to the local development of neighbourhoods. After studying and documenting closely the work of local artisans of construction in Dharavi, Bhandup, Ghatkopar, Sakinaka, Shivaji Nagar and other homegrown neighbourhoods in Mumbai, (but also in Sao Paulo, Rio, Shenzhen and Tokyo), we decided to join forces with artisans whom we thought were particularly diligent and innovative. Rather than offering wholesale 'solutions' for the 'rehabilitation' of 'slum dwellers', we partnered with local actors to marginally improve the way they build already. No big bang, but rather a tactical approach based on mutual respect and a shared desire to and learn and build together. After working on a Shiva temple, we started helping with the repair of several homes in Shivaji Nagar. Our latest initiative is a 14-feet high house standing on a 10 by 15 feet plot. This tiny house which costs Rs. 4 lakh is part of our "Homegrown Neighbourhood project", which has the rather grand ambition of contributing to the recognition of the local economy as a prime provider of affordable housing. The house was built with the inputs of professional architects, designers, and engineers who worked closely with the contractor, workers and masons. It used the existing material and techniques of local construction practices and improved on them through a collaborative process. We paid particular attention to the optimization of space, the penetration of daylight, ventilation, the economy of material, and the solidity of the structure. It was built by respecting highly-restrictive norms that regulate construction activity in slums and for less than the average cost of construction in the area. Of course, there are many things that we can still do better in our next house. We hope that this small move gets us one step closer to re-looking at such homes, construction practices and the neighbourhood as a whole, in newer, less biased ways. In the long run, if the government encourages official financial support for home and infrastructure improvement in homegrown settlements, along with a clear recognition of occupancy rights and the development of co-operative housing societies, we will have a robust system in place. The official target of producing millions of quality homes for all can be re-imagined, as one in which the process of construction itself becomes a transformative moment. Before that however, we need to transform our perception of these neighbourhoods. The question of legitimate use of urban land is an old one and full of inconsistencies. All through Mumbai's history, subsidies around land have nourished generations of communities and institutions. This is a significant contributor to the city becoming such a major economic hub. In the 19th and early 20th centuries, migrant populations were encouraged to make land productive so the government could earn revenue. It made sense to the authorities to make land accessible to create housing infrastructure and for institutions to develop. Municipal schools were opened in Dharavi in the late 19th or early 20th century itself. Paradoxically, since independence, poorer communities found that the only recourse to the same process was through local political patronage, connected to the economy of elections and votes, or informal dealings with municipal authorities. Perhaps is it time to accept that some land must be indeed be subsidized so that every community can keep a foothold in the city. A clear policy of subsidizing land for the poorest would reduce the ability of municipal authorities to blackmail 'slum dwellers' politically and financially. Watch - "A House We Build: Documentation of the construction of a house in Shivaji Nagar, Govandi, Mumbai"
Opinion: Bribes for Homes. How a Part of Mumbai Copes.